Chrome-Vanadium in plastic box. 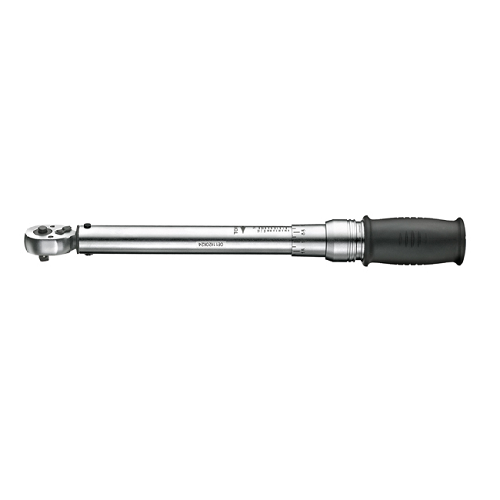 Lever type reversible ratchet with quick release ejector button. Clearly visible scale. Locking of set torque. Nonskid turning handle for safe handling and precise adjustment of torque value.